Nice addition to your barware! 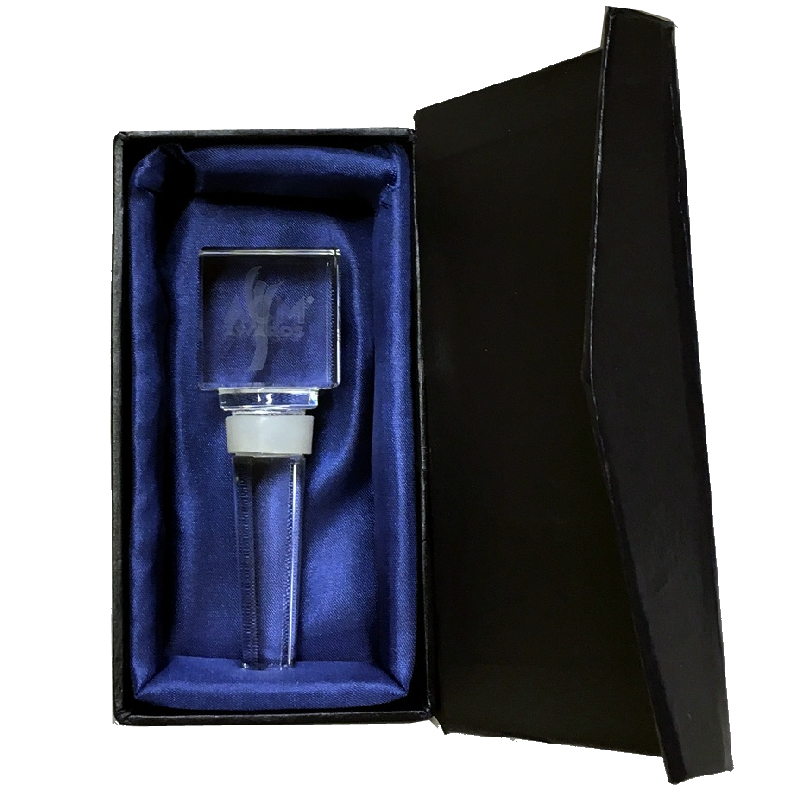 Crystal winestopper with rubber stopper. Comes in navy, padded storage box. 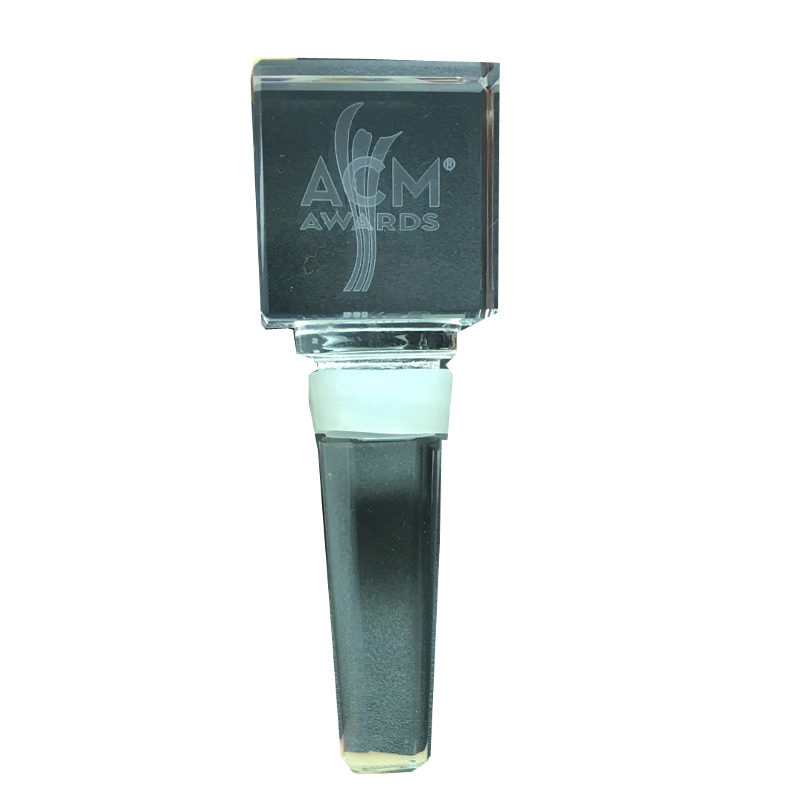 ACM logo floating in crystal.